Hi ladies! 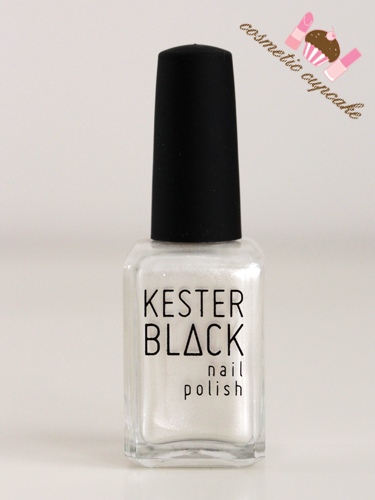 A few weeks back Anna from Aussie brand Kester Black very kindly got in touch to see if I would like to try out her polishes. I've been admiring her polishes for quite some time having come across the brand from seeing the polishes used by Trophy Wife Nail Art so I was super super excited to try them out! Today I'm very excited to (finally!) share with you my swatches and review of the gorgeous Winter Garden collection. It's taken me sooooooo long to swatch all the polishes unfortunately but I'm finally done! The lighting in my pics varies because I had to swatch the collection over quite a few days. 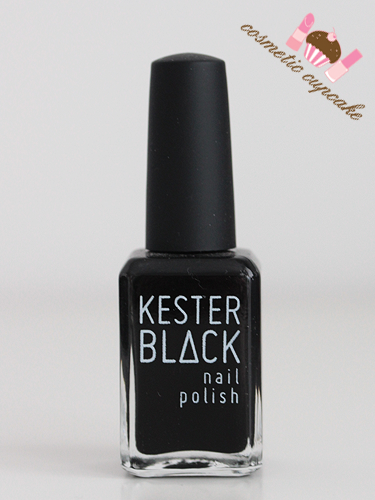 Kester Black polishes are 5 Free which means that they're free of Toluene, DBP, Formaldehyde, Formeheldyde Resin and Camphor. They're also carcinogen free so are safe for chemotherapy patients, expectant mothers and children. 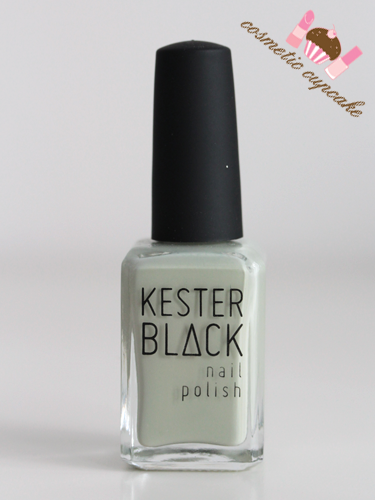 The polishes are Australian made and owned and is an accredited Cruelty-Free company which is absolutely fantastic!! WARNING: this post is picture heavy!! 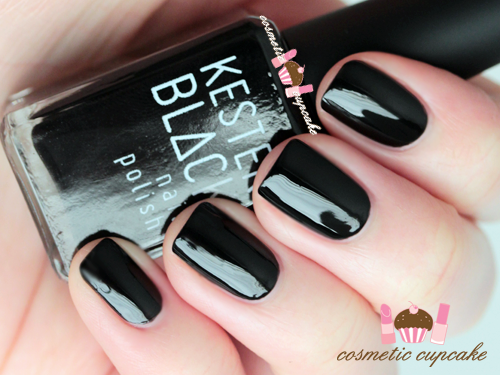 Black Rose is a glossy black which has an almost jelly finish. 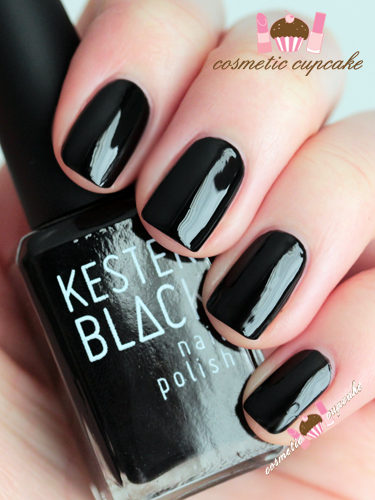 It reminds me of China Glaze Liquid Leather but applies better and needs fewer coats. 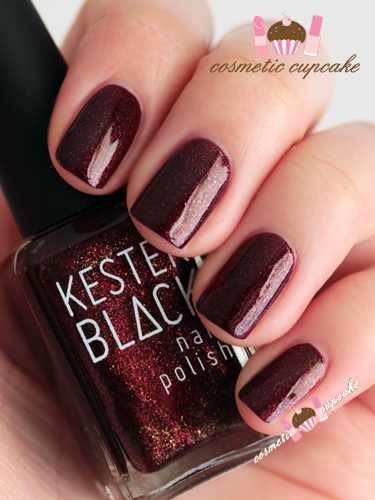 Snapdragon is a vampy dark burgundy with gold microglitter through it. My pictures don't do this beautiful polish justice! 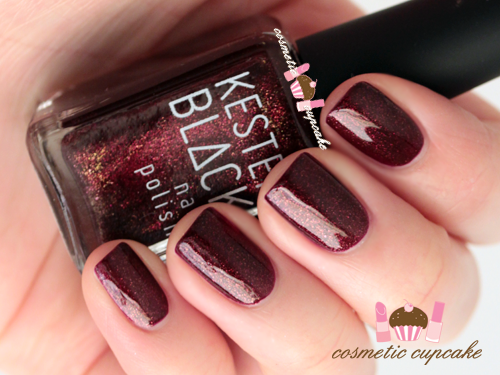 The glitter is more prominent in the bottle than on the nail. 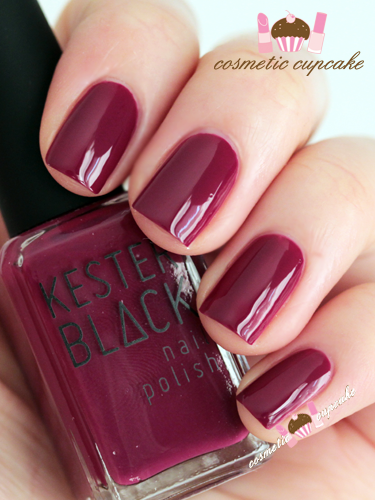 Poppy is a bright burgundy polish with an almost jelly like finish too. It was hard to capture it properly as my camera just wouldn't cooperate! It's slightly darker than what my pics show and leans more purple. 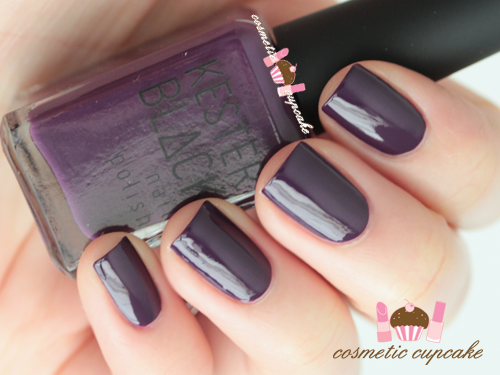 Deep Violet is a gorgeous dark purple creme. I love purple cremes and this is pretty darn awesome!! 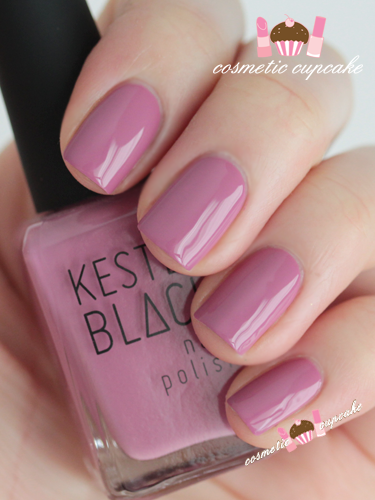 Peony is a beautiful dusty amaranth pink creme. It's perfect for the cooler months and a nice way to wear pink if you aren't a fan of pinks! French Lavender is a medium lavender creme. It's sooooooooooooo pretty!!! I'm a sucker for pastel purples and this is no different! 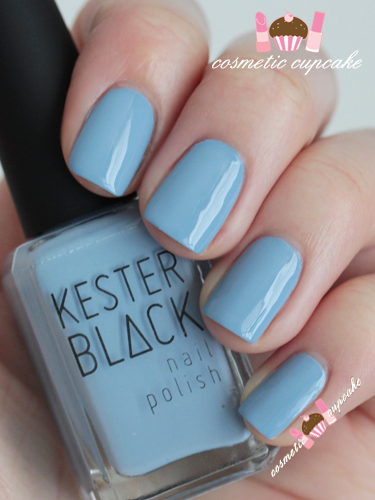 Forget Me Not is a dusty baby blue and is so cute!! I'm a sucker for pastel blues too lol. 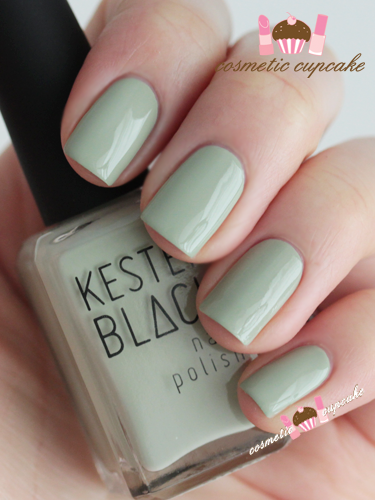 Moss is just as the name suggests and is a moss green creme. I don't have too many shades like this so I'm super happy to add it to my collection! It reminds me of OPI On Stranger Tides but brighter and warmer. Starflower is a cool metallic silver foil. Just utter metallic perfection in a bottle. 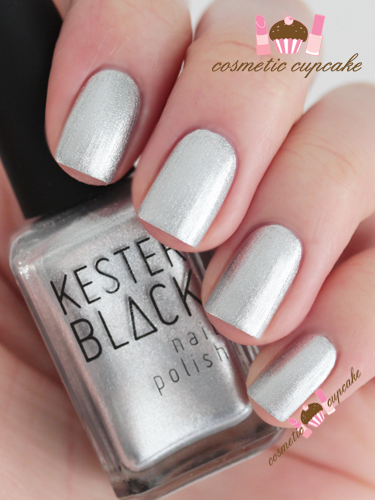 I think it's well documented on my blog how much I love silver foils!! Snowdrop is a pearlescent creme. 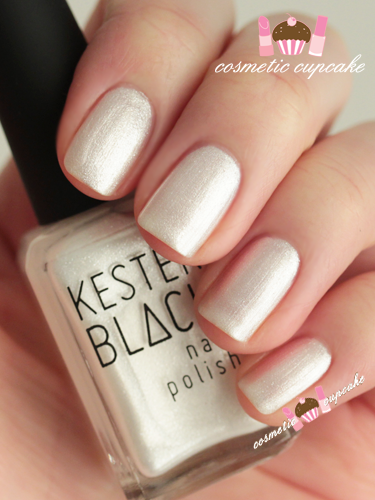 I'm not a huge fan of shades with a pearl finish but Snowdrop is pretty and elegant. 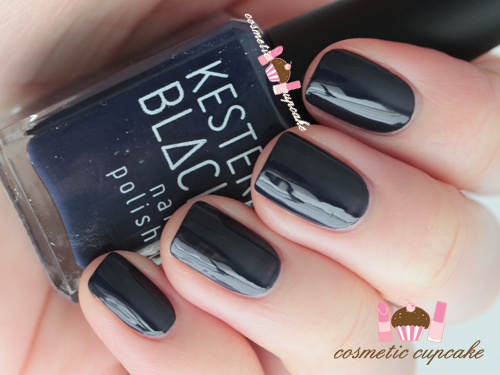 Overall: I am absolutely in LOVE with Kester Black polishes - it was love at first swatch! The formula is just amazing. 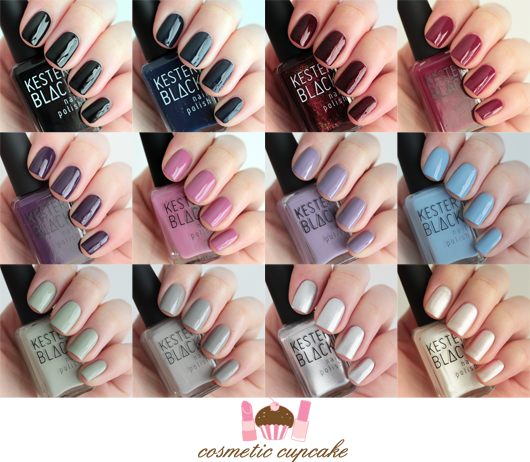 Each shade is so highly pigmented which makes them fantastic for doing nail art! They apply like absolute BUTTER and what I found most surprising and pleasing is that the formula is consistent for each and every shade. I find most collections have at least one dud formula but nope, no duds here whatsoever. The formula is self leveling which is fantastic especially when applying the lighter shades. I used 2 coats for each shade however for some shades you could probably get away with just one if you're careful. The brush is firm but flexible and easy to control so I didn't have much cleanup to do. They dried to a super glossy finish and dry time is very fast. The shades in the Winter Garden collection are spot on for the cooler months I think and each colour is very wearable. The only downside I found is that they chipped after a day or so on me which isn't a problem for me because I change my polish so regularly!! All the shades are gorgeous so it's hard to choose my favourites but they'd have to be Snapdragon, Deep Violet, Silver Birch, French Lavender and Peony. 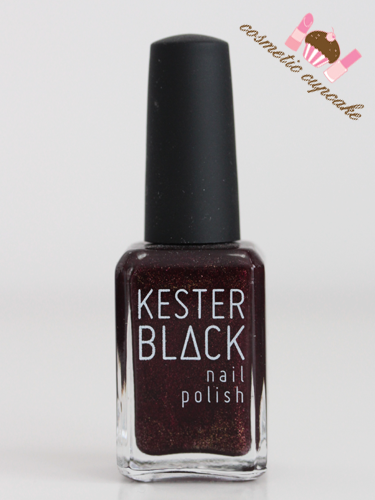 Details: The Kester Black Winter Garden collection is available now from the Kester Black online store for $17. What are your favourites? Thanks for looking as always!! 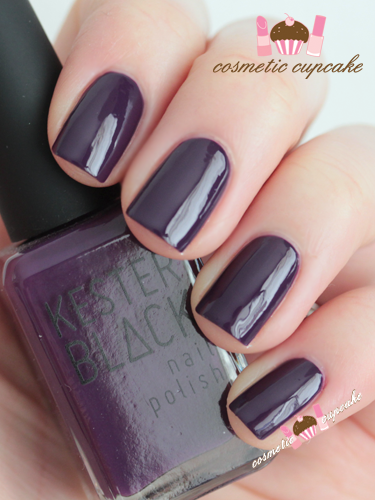 I especially like the jewel tones in this collection, but Deep Violet is my fave <3 Beautiful swatches! It was sooooo hard for me to pick my favourites!! These colors are so pretty! Love your swatches! 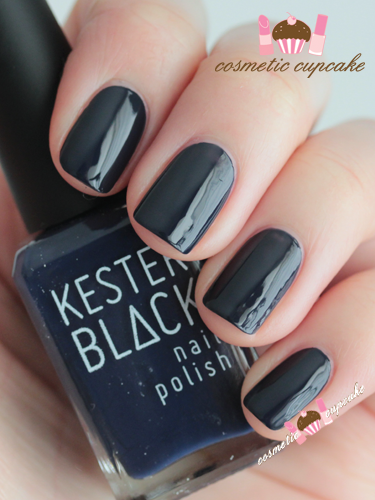 Lovely swatches, so shiny :) Your nails are so nice too! They are SO super glossy!! Hehe thanks Maddy! all so pretty! :) really great collection! Can I get them all? They are gorgeous! My faves: black and burgundy ones. LOL it's a bit like that isn't it!! There are some collections you just want to own entirely! I loveeee Black Rose, Snap Dragon and Starflower - they are soo stunning! Snapdragon and Starflower are just amazing aren't they!! Even nicer in person too. My pics don't do them justice! Snapdragon is too pretty! 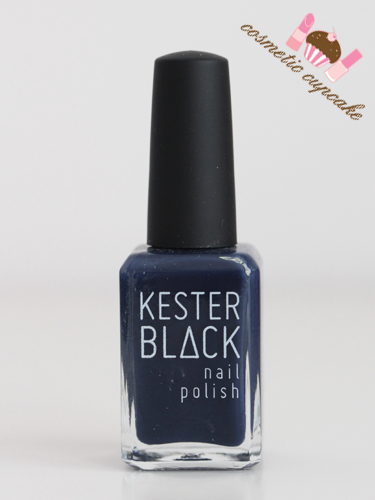 I really like Periwinkle as well, but agree with you that the name is quite strange for the shade! Glad I'm not the only one who thinks it's a bit of a strange name lol. 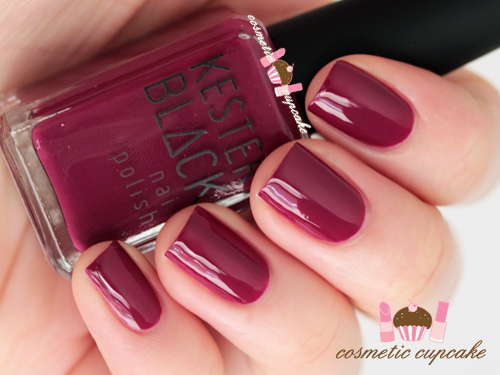 But the shade is gorgeous!! WOW These look amazing! I love the look of Silver Birch! They are AMAZING Neet. 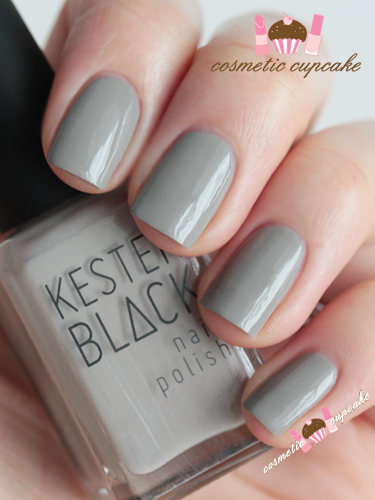 You would absolutely love Silver Birch!